It's fluffy, foxy and white, with some wings to boot. 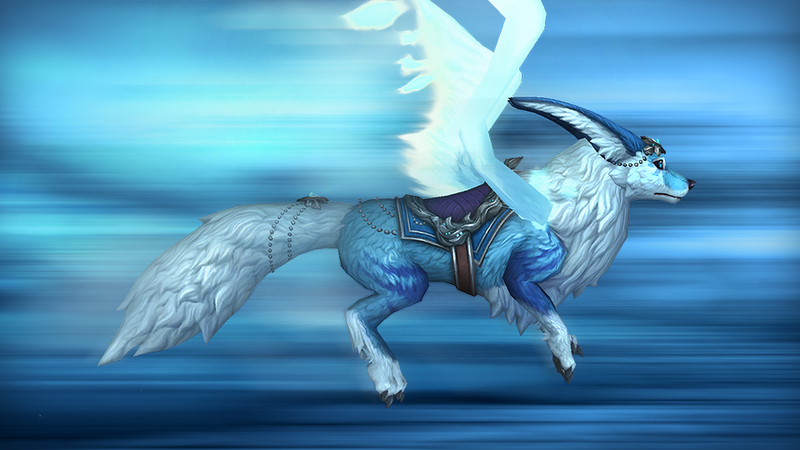 The latest 25$ store mount is the Vulpine Familiar and they're apparently "fiercely intelligent and insatiably curious", whatever that means for a WoW mount. It has a blue saddle and is vaguely horse-shaped, so it should be on the side of the Alliance, but they don't like the Vulpera much, so it's a conflicted mount to say the least. The fiercely intelligent and insatiably curious Vulpine Familiar seeks adventure and companionship. Summon your foxy new friend today! ? Fiercely intelligent and insatiably curious, this species of fox has travelled the Great Dark Beyond to seek the companionship of the greatest heroes of Azeroth. Vulpine Familiars are born daredevils, and any one of them would make a great companion on your adventures throughout Azeroth and beyond. Vulpine Familiar will be yours immediately after completing your purchase. Once it’s activated, Vulpine Familiar will be applied to all present and future characters on a single Battle.net account. It will appear in each character’s pet and mount journal. 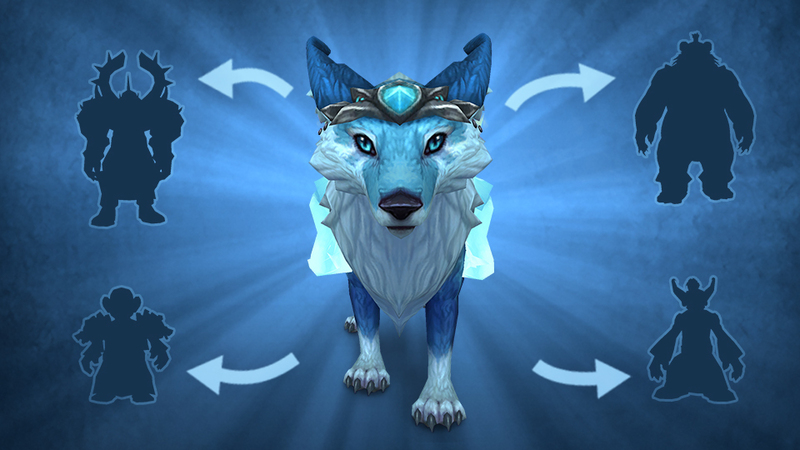 Vulpine Familiar automatically scales to the fastest riding skill known by each character. If they aren’t high enough level to use a flying mount, it will still be usable as a ground mount. If you're interested, head on over to the store and get yours. Blizzard, are you trying to compete with Bethesda to see which of you can lose your fanbase quicker? Because this and 8.1's lack of content aren't winning you anyone's favor. I feel like Activision is trying to compensate shareholders for sub losses with any cash grab they can squeeze out of WoW right now. I feel a little Pansexual after seeing this mount. I dunno, I rather like it. Not going to buy it but it's not terrible. Geeze Blizzard, are you actively trying to anger your playerbase? Don't worry about it the more people complain and unsubscribe, the more World of Warcraft goes away...and then everyone will either be happier, relieved or angry at the fact they cancelled future development in the game because a mass exodus happened and could no longer fund/support the game...hmmmm reminds of the quick way Star Wars Galaxies died...We will all surely take it to the man! The Dreadwake was a promotional mount, if you had a 6m sub active, they gift you the mount. The Meat Wagon is nother promotional mount, not a store mount, it came with another game deluxe edition. This is the first store mount for the xpac, and I don't thing that is a bad thing. It's a really nice looking. 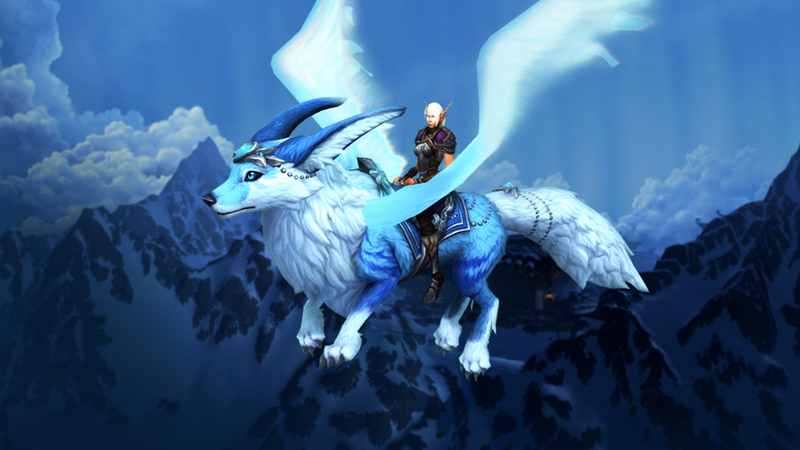 And looks diferent that any other mount ingame. 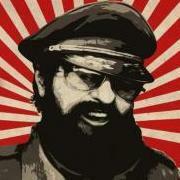 I won't waste money on it. But I don't care if they made this. Specially bcose they have added a lot more mount ingame that the one they put in store. It's pretty and that's about it. However I am not overly thrilled about the current ingame gold/token currency mounts that were introduced. The price is a bit steep for my liking. eg) the new 333k Frog mounts or the 750 Honorbound Medals for one of the new mounts centered around Darkshore.